It’s important to work with a tax accountant Adelaide to ensure that you are adhering to all Australian laws and regulations. At Shaw Accounting, we look forward to providing you with the professional services that you require. This means you don’t have to do it all on your own. A simple mistake could result in fines as well as various problems for you or your business. It doesn’t have to be this way. It’s as simple as requesting a tax accountant in Adelaide – and we’re here to help. You have a lot going on within your business. There’s no need to try and do everything on your own. We have professional tax accountants Adelaide who will analyze your documents, create reports, and submit to the government on your behalf. This allows you to focus on other areas of your business without getting stressed about taxes. With the help of a tax accountants Adelaide, your businesses benefit significantly. This includes ensuring that the taxes are properly sorted, reports are submitted on time, and the business operates effectively. You need to be professional in all that you do. 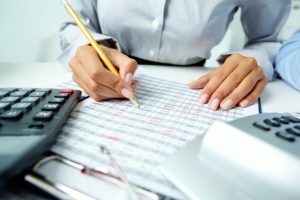 If you don’t have the time to complete tax reports or you don’t have the know-how, reaching out to professional tax accountants in Adelaide makes all the difference in the world. We are here to assist you so that there’s no need for you to do everything on your own. Allow us to look over your finances, work on tax reports, and ensure that you are adhering to all rules and regulations. With a professional tax accountant Adelaide at your side, it’s easier for you to focus on your business. We will do as much or as little as you need. Simply let us know what professional services you require.